I’d like to begin a game in which I, your host, provide you with a quote. I will not tell you where the quote originated from, but you will be tasked with finding the heretical undertones of the quote. The purpose of this game is for you to learn to analyze what different individuals within the Catholic Church say, without the peskiness of knowing who said it, and determine if what is said is actually Catholic. Obviously, since the name of the game is “Spot the Heresy”, the statement will not be Catholic, but we can then analyze the reasons why it isn’t. So, where is the heresy? By my count, I see three heretical remarks nested within these 31 words. One heresy every ten words, that is quite the feat. 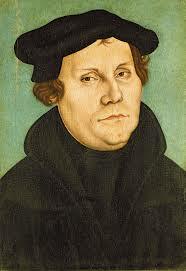 The first heresy is the implication that the Church is in need of reformation. While maybe not a heresy per se, it is most an error as the prelate who spoke these words believes that the Catholic Church as we know it today is in need of reforming everything, from the Liturgy to the priesthood, to the day to day lives of all Catholics. Whenever a prelate of the post-conciliar Church says that reformation is needed, it should never be assumed that they have the best intentions. Ever since the Second Vatican Council, we have heard of a supposed “need” for the Church to be reformed. After seeing the poor implementation of the Council and the constant misinterpretations of what was actually called for, we can see that all of the reforms that have occurred since then have done nothing but harm to the Catholic Church. There are priest shortages in every diocese, the vast majority of the laity do not go to Mass weekly, over 70% of Catholics do not believe in the True Presence of Jesus Christ in the Eucharist, and 85% of Catholics who are confirmed leave the Church within five years. The reforms of the Church over the last 50 years have been nothing but devastating and the only “reform” that we need is a return to the Truths and the Doctrines and Dogmas of the Catholic Church. Not a moving away from these because the laity and the world find them too hard. Jesus lost all of His followers when He told them that they did not have eternal life if they did not eat His Flesh and drink His Blood. If Our Lord didn’t back down, neither should we. The second heresy is “rooting yourself in Christ, leaving yourself to be guided by the Spirit”. This implies that if we are to root ourselves in Christ (and ignore the Church because the two go hand in hand) that we are then able to allow the Holy Spirit to take control. The thing is, the Holy Spirit and Jesus Christ are one in the same God. By obeying one you can not disobey the other. Both are God, along with the Father, but neither of them will lead you astray from the other. It is impossible, as it is a contradiction. Whenever you read or hear anything from anybody, whether they be Catholic or Protestant, clergy or laymen, religious or not, and they imply that any one person of the Trinity is different and can lead you towards a different path than another person of the Trinity, you know that they are dabbling in the heresy of blasphemy. As the Father, the Son, and the Holy Spirit are three persons in one God, they will always point to one Truth, not three separate truths. The third heresy is “so that all will be possible with genius and creativity.” If you are at all familiar with the Gospel of Luke, you will know that “through God, all things are possible”. While genius and creativity are all attributes we can apply to the Lord, it is not these attributes that will help make the Church “better”. It will not be through mere human actions that will make things better, but by the grace of God that all of the problems we are currently facing will go away. This also falls under the heresy of Modernism, as it implies that it is through the experience and the feelings of the individuals to define what the “genius” and “creativity” would be. Now, did you get all of the heresies? Were there any that I missed? Would you like to take a gander as to who said the above quote? It was Pope Francis speaking to the Italian Church. If you have agreed with me during the entire post and now find yourself in disagreement, you might need to start rethinking your position as a faithful Catholic. If you have put your Catholic faith in any person other than Christ and the scandal of a Pope saying something so obviously non-Catholic, as we have just walked through, leaves you to now ignore basic Catholic doctrine and thought, then you are not being a faithful Catholic by following the Pope’s every word and defending them, but rather, you are being traitorous to Christ and His Church, as you have abandoned His teachings for that of a mere man. The thing is, the Holy Spirit and Jesus Christ are one in the same person. Here you are in error. One God but not one person [Three persons in One God]. Ah, thank you for that catch.